Kerala State Information Technology Mission (KSITM) is a Society registered under the Travancore Cochin Literary Scientific & Charitable Societies Registration Act (Act 12 of 1955). It is an autonomous nodal IT implementation agency for Department of Information Technology, Government of Kerala which provides managerial support to various initiatives of the Department. Cyber crimes are becoming a nuisance in the society especially crimes such as cyber stalking and cell phone stalking. Many of the victims are not aware about the cyber crimes and its manifestations. The objective of this programme is to create awareness among the people about various types of cyber crimes, its impact in the society and educate the public in prevention of cyber crimes. This portal will function as the interface to public to provide them help in dealing with cyber crimes. It also envisages to provide information regarding cyber security and cyber forensics to people of Kerala. Any victim of cyber crime can report the crime through this portal. 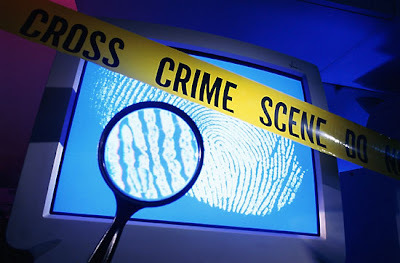 The complaint will be handled by the High Tech Crime Enquiry Cell of Kerala Police with the help of Resource Centre for Cyber Forensics, CDAC, Thiruvananthapuram We provide you with facilities for asking expert opinion regarding any cyber crime and through the forum people can discuss various issues in cyber crimes. 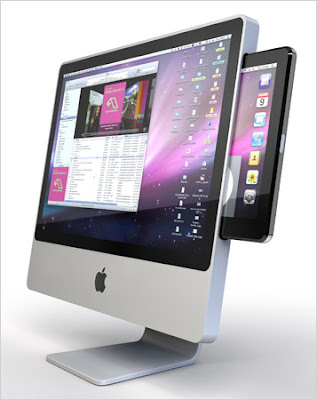 I planned to buy an iphone 3G when it will launched in Kochi(India). But When I got this mail, I think I have to think again. Those who doesn't know about the non features of iphone 3g...just read on...and Decide. Following is the mail I got from one of my friend. !!! BEWARE OF BUYING iPhone 3G!!! We Indians are used to these features. Most of our phones already have these features. 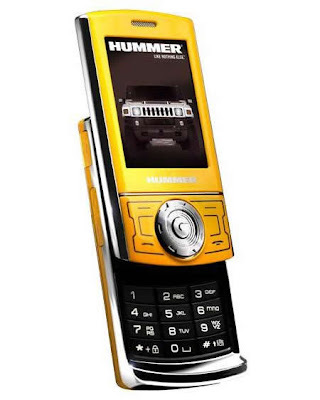 & we cannot do with out them.... i mean can you imagine paying so much for a phone with which you cannot transfer files via bluetooth. what age is this ...STONE AGE??? On the contrary, we in India have so much freedom. We go to handset shops & buy which ever phone we like. 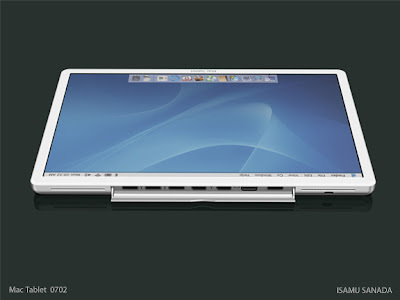 Then go to carriers.. checkout the plans & buy SIM. Dont like the plan or rival carrier came up with a better plan???? EASY . just remove & replace the SIM. Those of who buy it... You will be most happy for atmost a week... & then, MARK MY WORDS...YOU WILL START REGRETTING IT!!! THANKS FOR YOUR TIME.... GOODLUCK!!! While communicating using your cell phone, try to keep the cell phone away from the body as much as possible. The amplitude of the electromagnetic field is one fourth the strength at a distance of two inches and fifty times lower at three feet. Whenever possible, use the speaker-phone mode or a wireless Bluetooth headset, which has less than 1/100th of the electromagnetic emission of a normal cell phone. Use of a hands-free ear piece attachment may also reduce exposures. Avoid using your cell phone in places, like a bus, where you can passively expose others to your phone's electromagnetic fields. Only use your cell phone to establish contact or for conversations lasting a few minutes, as the biological effects are directly related to the duration of exposure. For longer conversations, use a land line with a corded phone, not a cordless phone, which uses electromagnetic emitting technology similar to that of cell phones. 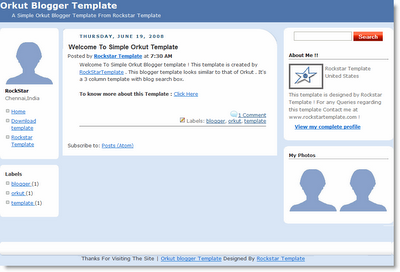 To download this template and for installing this template in blogger, follow these simple instructions. Publishers will earn 1$ for Windows Live Tool bar and 3$ for Windows Live OneCare on every successful download and installation on a computer based in US. This program is in beta and publishers from around the world are allowed to participate. You are can apply for the affiliates program by filling this signup form. Microsoft will take a day or two to review your signup request and let you know whether you permitted to be affiliate or not. Google's Blogger service is responsible for 2 per cent of the world's malware, says a recent report from security firm Sophos. The Security Threat Report for the first half of 2008 claims that hackers are setting up pages on the free blogging service to host malicious code, or simply posting links to infected websites in other bloggers' comments. The security company, however, absolved Google from any blame. A Google statement on the issue said, "Google takes the security of our users very seriously, and we work hard to protect them from malware," a company statement reads. "Using Blogger, or any Google product, to serve or host malware is a violation of our product policies. We actively work to detect and remove sites that serve malware from our network." The report also ranks US at the top of the malware-hosting countries, with almost two of every five infected webpages based there. It is followed by China (which was #1 in 2007), Russia, Germany and Ukraine in the same order. While the popularity of social networking sites has gone up manifolds, so has the crime related to them. In fact, industry networking website LinkedIn has also not been immune to attack, with phishers and scammers using the site. The study also mentioned the astronomical rise of spam on mobile devices in places such as China, where such junk mail messages grew to almost 354 billion in 2007. In this world population some people either cannot distinguish red from green, or see red and green differently. Color blindness affects a significant amount of the population, and it is even more prevalent in more isolated populations with a smaller gene pools. It is mostly a genetic condition, though it can be caused by eye, nerve, or brain damage, or due to exposure to certain chemicals. The future of software development is about good craftsmen. With infrastructure like Amazon Web Services and an abundance of basic libraries, it no longer takes a village to build a good piece of software. These days, a couple of engineers who know what they are doing can deliver complete systems. In this post, we discuss the top 10 concepts software engineers should know to achieve that. Authentication is about verifying user identity. A typical website prompts for a password. 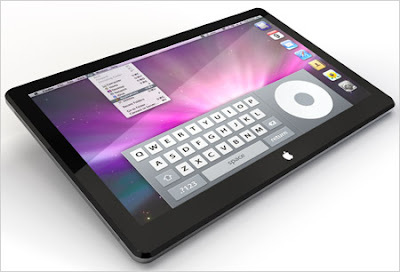 The authentication typically happens over SSL (secure socket layer), a way to transmit encrypted information over HTTP. Authorization is about permissions and is important in corporate systems, particularly those that define workflows. The recently developed OAuth protocol helps web services to enable users to open access to their private information. This is how Flickr permits access to individual photos or data sets. In our recent post Reaching For The Sky Through Compute Clouds we talked about how commodity cloud computing is changing the way we deliver large-scale web applications. Massively parallel, cheap cloud computing reduces both costs and time to market. After parallel algorithms came grid computing, which ran parallel computations on idle desktops. One of the first examples was SETI@home project out of Berkley, which used spare CPU cycles to crunch data coming from space. Grid computing is widely adopted by financial companies, which run massive risk calculations. The concept of under-utilized resources, together with the rise of J2EE platform, gave rise to the precursor of cloud computing: application server virtualization. The idea was to run applications on demand and change what is available depending on the time of day and user activity. Today's most vivid example of cloud computing is Amazon Web Services, a package available via API. Amazon's offering includes a cloud service (EC2), a database for storing and serving large media files (S3), an indexing service (SimpleDB), and the Queue service (SQS). These first blocks already empower an unprecedented way of doing large-scale computing, and surely the best is yet to come. Concurrency is one topic engineers notoriously get wrong, and understandibly so, because the brain does juggle many things at a time and in schools linear thinking is emphasized. Yet concurrency is important in any modern system. Concurrency is about parallelism, but inside the application. Most modern languages have an in-built concept of concurrency; in Java, it's implemented using Threads. A classic concurrency example is the producer/consumer, where the producer generates data or tasks, and places it for worker threads to consume and execute. The complexity in concurrency programming stems from the fact Threads often needs to operate on the common data. Each Thread has its own sequence of execution, but accesses common data. One of the most sophisticated concurrency libraries has been developed by Doug Lea and is now part of core Java. No modern web system runs without a cache, which is an in-memory store that holds a subset of information typically stored in the database. The need for cache comes from the fact that generating results based on the database is costly. For example, if you have a website that lists books that were popular last week, you'd want to compute this information once and place it into cache. User requests fetch data from the cache instead of hitting the database and regenerating the same information. Caching comes with a cost. Only some subsets of information can be stored in memory. The most common data pruning strategy is to evict items that are least recently used (LRU). The prunning needs to be efficient, not to slow down the application. A lot of modern web applications, including Facebook, rely on a distributed caching system called Memcached, developed by Brad Firzpatrick when working on LiveJournal. The idea was to create a caching system that utilises spare memory capacity on the network. Today, there are Memcached libraries for many popular languages, including Java and PHP. The idea behind hashing is fast access to data. If the data is stored sequentially, the time to find the item is proportional to the size of the list. For each element, a hash function calculates a number, which is used as an index into the table. Given a good hash function that uniformly spreads data along the table, the look-up time is constant. Perfecting hashing is difficult and to deal with that hashtable implementations support collision resolution. Beyond the basic storage of data, hashes are also important in distributed systems. The so-called uniform hash is used to evenly allocate data among computers in a cloud database. A flavor of this technique is part of Google's indexing service; each URL is hashed to particular computer. Memcached similarly uses a hash function. There are just a handful of things engineers must know about algorithmic complexity. First is big O notation. If something takes O(n) it's linear in the size of data. O(n^2) is quadratic. Using this notation, you should know that search through a list is O(n) and binary search (through a sorted list) is log(n). And sorting of n items would take n*log(n) time. Your code should (almost) never have multiple nested loops (a loop inside a loop inside a loop). Most of the code written today should use Hashtables, simple lists and singly nested loops. Due to abundance of excellent libraries, we are not as focused on efficiency these days. That's fine, as tuning can happen later on, after you get the design right. Elegant algorithms and performance is something you shouldn't ignore. Writing compact and readable code helps ensure your algorithms are clean and simple. Lakos contended a good software follows the shape of a pyramid; i.e., there's a progressive increase in the cummulative complexity of each component, but not in the immediate complexity. Put differently, a good software system consists of small, reusable building blocks, each carrying its own responsibility. In a good system, no cyclic dependencies between components are present and the whole system is a stack of layers of functionality, forming a pyramid. Naming conventions and basic templates are the most overlooked software patterns, yet probably the most powerful. Naming conventions enable software automation. For example, Java Beans framework is based on a simple naming convention for getters and setters. And canonical URLs in del.icio.us: http://del.icio.us/tag/software take the user to the page that has all items tagged software. The templates are not C++ or Java language constructs. We're talking about template files that contain variables and then allow binding of objects, resolution, and rendering the result for the client. The most important concept in software is interface. Any good software is a model of a real (or imaginary) system. Understanding how to model the problem in terms of correct and simple interfaces is crucial. Lots of systems suffer from the extremes: clumped, lengthy code with little abstractions, or an overly designed system with unnecessary complexity and unused code. In modeling, there are ways you can iterate towards the right solution. Firstly, never add methods that might be useful in the future. Be minimalist, get away with as little as possible. Secondly, don't be afraid to recognize today that what you did yesterday wasn't right. Be willing to change things. Thirdly, be patient and enjoy the process. Ultimately you will arrive at a system that feels right. Until then, keep iterating and don't settle. Modern software engineering is sophisticated and powerful, with decades of experience, millions of lines of supporting code and unprecidented access to cloud computing. Today, just a couple of smart people can create software that previously required the efforts of dozens of people. But a good craftsman still needs to know what tools to use, when and why. In this post we discussed concepts that are indispensible for software engineers. And now tell us please what you would add to this list. Share with us what concepts you find indispensible in your daily software engineering journeys. If possible, send it to those you care about. The companies are now in final negotiations , although it could be a couple of weeks before it closes. And while the major deal points have been agreed on, the acquisition could still fall apart. Microsoft, which was previously interested in the company, may be willing to step back in at a much lower price. 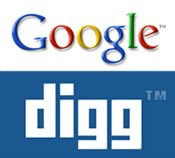 Meanwhile, Google’s fascination with the Digg voting concept continues. There are almost never any sick days in the restaurant business. A busboy with a kid to support isn't going to stay home and miss out on Rs.100 because he's got strep throat. And these are the people handling your food. When customers' dissatisfaction devolves into personal attacks, adulterating food or drink is a convenient way for servers to exact covert vengeance. Waiters can and do spit in people's food. Never say "I'm friends with the owner." Restaurant owners don't have friends. This marks you as a clueless poseur the moment you walk in the door. Don't snap your fingers to get our attention. Remember, we have shears that cut through bone in the kitchen. Don't order meals that aren't on the menu. You're forcing the chef to cook something he doesn't make on a regular basis. If he makes the same entrée 10,000 times a month, the odds are good that the dish will be a home run every time. Splitting entrées is okay, but don't ask for water, lemon, and sugar so you can make your own lemonade. What's next, grapes so you can press your own wine? If you find a waiter you like, always ask to be seated in his or her section. Tell all your friends so they'll start asking for that server as well. You've just made that waiter look indispensable to the owner. The server will be grateful and take good care of you. If you can't afford to leave a tip, you can't afford to eat in the restaurant. 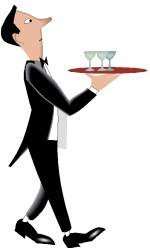 Servers could be giving 20 to 40 percent to the busboys, bartenders, maître d', or hostess. Always examine the check. Sometimes large parties are unaware that a gratuity has been added to the bill, so they tip on top of it. Waiters "facilitate" this error. It's dishonest, it's wrong-and I did it all the time. If you want to hang out, that's fine. But increase the tip to make up for money the server would have made if he or she had had another seating at that table. Never, ever come in 15 minutes before closing time. The cooks are tired and will cook your dinner right away. So while you're chitchatting over salads, your entrées will be languishing under the heat lamp while the dishwasher is spraying industrial-strength, carcinogenic cleaning solvents in their immediate vicinity. 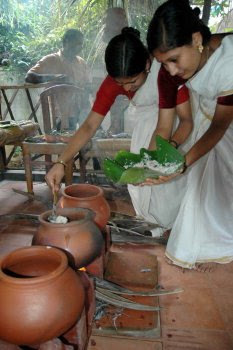 'Oushadha Kanji'/ Karkidaka Kanji is a medicinal rice soup is a traditional item of Kerala during the rainy days. This tasty dish has a special effect in warding off the monsoon fevers. Here is the exclusive recipe to prepare the ayurvedic ‘Oushadha Kanji" at your home. If you find difficulty in getting any of the below ingredients, take the below list to the nearby Kerala Ayurveda store. They will aid you procure desired items safely. How to prepare Karkidaka Kanji? Boil the ingredients 1-23 well in a cleaned pot for 15 minutes. Clean the small onions and fry it well in one teaspoon of ghee. Mix the fried onions to the prepared solution and let it cool for 10 minutes. Consume the Oushadha Kanji in empty stomach in the evening or as a substitute for your dinner. Oushadha Kanji should be consumed continuously for one week or multiplies of the week like 2 weeks, three weeks etc. for a better effect. Those who suffer from high Cholesterol levels may use coconut oil in place of ghee. 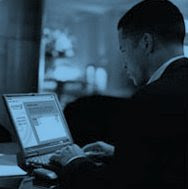 Prolonged sitting at a desk or computer terminal can cause muscular tension and pain. But, by taking a five or ten minute break to do a series of stretches, your whole body can feel better. Its also helpful to learn to stretch spontaneously, throughout the day, stretching any particular area of the body that feels tense for a minute of two. This will help greatly in reducing and controlling unwanted tension and pain. After holding the easy stretch, you can move a fraction of an inch farther into the stretch until you feel mild tension again. This the developmental stretch which should be held for 10-15 seconds. This feeling of stretch tension should also slightly diminish or stay the same. If the tension increases or becomes painful, you are overstretching. Ease off a bit to a comfortable stretch. The developmental stretch reduces tension and will safely increase flexibility. Hold only stretch tensions that feel good to you. The key to stretching is to be relaxed while you concentrate on the area being stretched. Your breathing should be slow, deep and rhythmical. Don't worry about how far you can stretch, stretch relaxed and limberness will become just one of the many byproducts of regular stretching. **NOTE: If you have had any recent surgery, muscle, or joint problem, please consult your personal health care professional before starting a stretching or exercise program. Separate and straighten your fingers until tension of a stretch is felt (fig. 1). Hold for 10 seconds. Relax, then bend your fingers at the knuckles and hold for 10 seconds (fig. 2). Repeat stretch in fig. 1 once more. This stretch may cause people around you to think you are very strange, indeed, but you often find a lot of tension in your face from eye strain. Raise your eyebrows and open your eyes as wide as possible. At the same time, open your mouth to stretch the muscles around your nose and chin and stick your tongue out. Hold this stretch for 5-10 seconds. Caution: If you have clicking or popping noises when opening mouth, check with your dentist before doing this stretch. Shoulder Shrug: Raise the top of your shoulders toward your ears until you fell slight tension in your neck and shoulders. Hold this feeling of tension for 3-5 seconds, then relax your shoulders downward into their normal position. Do this 2-3 times. Good to use at the first signs of tightness or tension in the shoulder and neck area. With fingers interlaced behind head, keep elbows straight out to side with upper body in a good aligned position. Now pull your shoulder blades toward each other to create a feeling of tension through upper back and shoulder blades. Hold this feeling of mild tension for 8-10 seconds, then relax. Do several times. This is good to do when shoulders and upper back are tense or tight. Start with head in a comfortable, aligned position. Slowly tilt head to left side to stretch muscles on side of neck. Hold stretch for 10-20 seconds. Feel a good, even stretch. Do not overstretch. Then tilt head to right side and stretch. Do 2-3 times to each side. From a stable, aligned position turn your chin toward your left shoulder to create a stretch on the right side of your neck. Hold right stretch tensions for 10-20 seconds. Do each side twice. Gently tilt your head forward to stretch the back of the neck. Hold for 5-10 seconds. Repeat 3-5 times. Hold only tensions that feel good. Do not stretch to the point of pain. Hold your left arm just above the elbow with the right hand. Now gently pull elbow toward opposite shoulder as you look over your left shoulder. Hold stretch for 15-20 seconds. Do both sides. Interlace fingers, then straighten arms out in front of you. The palms should be facing away from you as you do the is stretch. Feel stretch in arms and through the upper part of the back (shoulder blades). Hold stretch for 20-30 seconds. Do at least two times. Interlace fingers then turn palms upwards above your head as you straighten your arms. Think of elongating your arms as yo feel a stretch through arms and uppers sides of rib cage. Hold for 10-20 seconds. Hold only stretches that feel releasing. Do three times. Hold left elbow with right hand, then gently pull elbow behind head until an easy tension-stretch is felt in shoulder or back of upper arm (triceps). Hold easy stretch for 30 seconds. Do not overstretch. Do both sides. A stretch for the side of hip, lower and middle of back. Sit with left leg bent over right leg, then rest elbow or forearm of right arm on the outside of the upper thigh of the left leg. Now apply some controlled, steady pressure toward the right with the elbow or forearm. As you do this look over your left shoulder to get the stretch feeling. Do both sides. Hold for 15 seconds. The next stretch is done with fingers interlaced behind your back. Slowly turn your elbows inward while straightening your arms. An excellent stretch for shoulders and arms. This is good to do when you find yourself slumping forward from your shoulders. This stretch can be done at any time. Hold for 5-15 seconds. Do twice. To stretch your calf, stand a little ways from a solid support and lean on it with your forearms, your head resting on your hands. Bend one leg and place your foot on the floor in front of you leaving the other let straight, behind you. Slowly move your hips forward until you feel a stretch in the calf of your straight leg. Be sure to keep the heel of the foot of the straight leg on the floor and your toes pointed straight ahead. Hold an easy stretch for 30 seconds. Do not bounce. Stretch both legs.